To commemorate Bastille Day, the University of Illinois Press celebrates its backlist of books on France and the French. 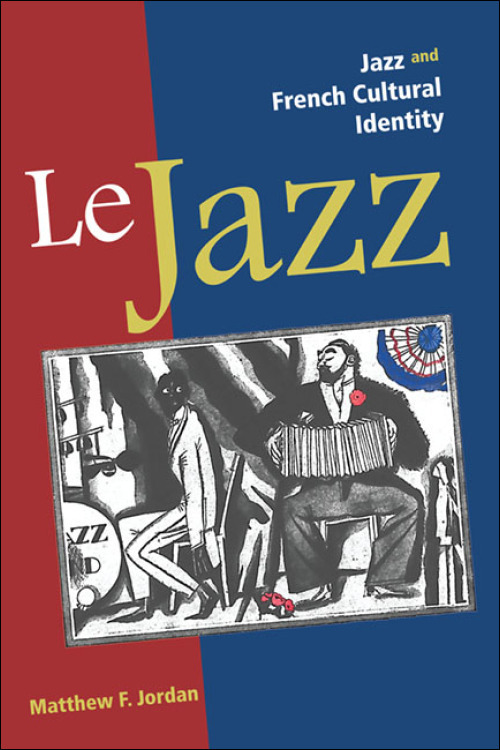 Matthew F. Jordan deftly blends textual analysis, critical theory, and cultural history in a wide-ranging and highly readable account of how jazz progressed from a foreign cultural innovation met with resistance by French traditionalists to a naturalized component of the country’s identity. Jordan draws on sources including ephemeral critical writing in the press and twentieth-century French literature to trace the country’s reception of jazz, from the Cakewalk dance craze and the music’s significance as a harbinger of cultural recovery after World War II to its place within French ethnography and cultural hybridity. Countering the histories of jazz’s celebratory reception in France, Jordan delves into the reluctance of many French citizens to accept jazz with the same enthusiasm as the liberal humanists and cosmopolitan crowds of the 1930s. Jordan argues that some listeners and critics perceived jazz as a threat to traditional French culture, and only as France modernized its identity did jazz become compatible with notions of Frenchness. Le Jazz speaks to the power of enlivened debate about popular culture, art, and expression as the means for constructing a vibrant cultural identity, revealing crucial keys to understanding how the French have come to see themselves in the postwar world. The first four decades of the twentieth century saw male homosexuality appear in French literature with increasing frequency and boldness. Departing from earlier, more muted presentations, André Gide, Marcel Proust, Jean Cocteau, René Crevel, Francis Carco, and a host of less-famous writers, all created overtly gay characters are gave them increasingly numerous and significant roles. Far from being simply shunned or marginalized, a number of these works were instead accepted as canonical. 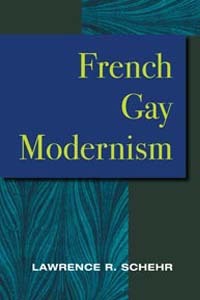 Chosen as a Choice Academic Title for 2006, French Gay Modernism is the only study devoted to the analyzing these representations of male homosexuality in early twentieth-century French literature. Lawrence R. Schehr explains how earlier representations of homosexuality, encoded rather than conspicuous, served as a basis for later writers to treat homosexual behavior as sets of relationships rather than as secrets or scandals. The prominence of authors such as Proust and Gide also helped other writers take up homosexual relationships in their work, often by adopting the same representational strategies. Schehr doesn’t limit his study to high literary culture, however. He devotes considerable attention to popular writers whose homosexual characters encounter contempt, scorn, and worse and whose portrayals of homosexual couples and society were at once more open and more at risk. 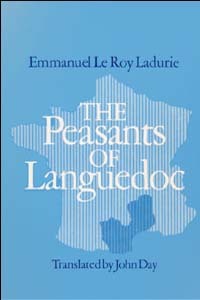 Hailed as a pioneering work of “total history” when it was published in France in 1966, Le Roy Ladurie’s volume combines elements of human geography, historical demography, economic history, and folk culture in a broad depiction of a great agrarian cycle, lasting from the Renaissance to the Enlightenment. It describes the conflicts and contradictions of a traditional peasant society in which the rise in population was not matched by increases in wealth and food production.